Do You Have A Construction Project We Can Help With? The project was to replace a dilapidated old timber gazebo in the grounds of a care home (run by a charitable trust), which had been built in the early years of Queen Victoria’s reign, with a modern, custom-built, wooden clad pavilion. 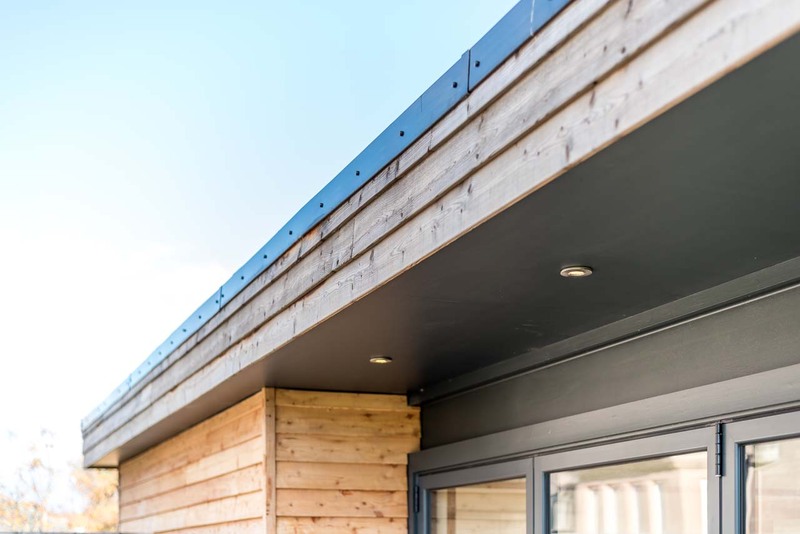 The completed pavilion has a modern flat roof and concealed guttering, external and internal bi-fold doors so that it can be used as one large area or a number of small individual rooms, and is a modern design in contrast to the original stone building. 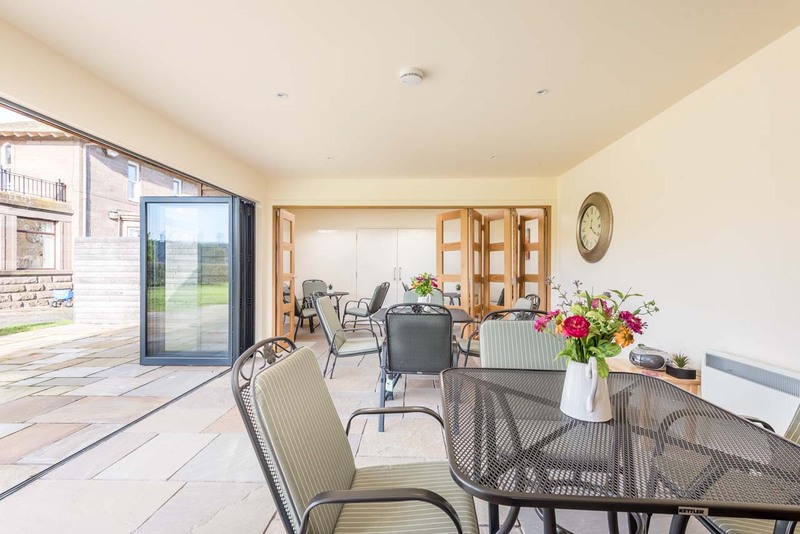 An outstanding feature of the pavilion is the use of natural light, sustainable materials and the use of bi-fold doors internally and externally so that the residents benefit from the flexibility of the layout. Yet despite the extensive use of aluminium, glass and natural timber in modern form the completed pavilion is suitably respectful of its Victorian neighbour, with the cantilever steel canopy contrasting with the natural Scottish larch exterior. The result enhances the residents’ feeling of being out in the garden while still being protected from the vagaries of the Scottish weather. 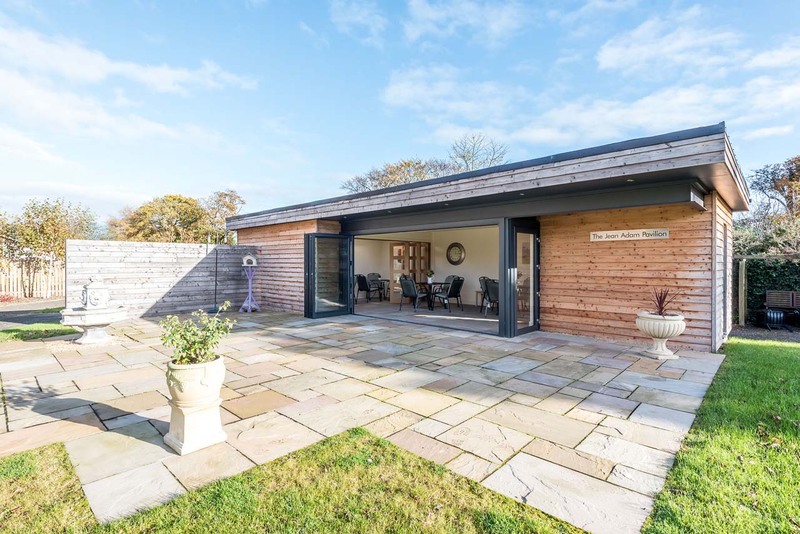 We are award-winning builders and joiners who specialize in new builds, house extensions, renovations and beautiful interiors, throughout Angus and South Aberdeenshire.